The horses of Black Pine Ranch come from the finest working Arabian and Quarter Horse foundation working lines with some modern lines thrown in. 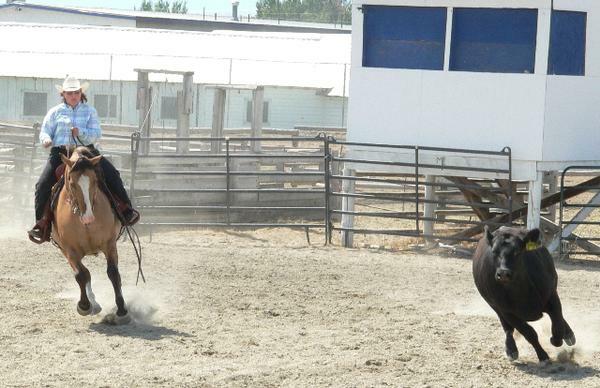 Our horses are tough enough to do a hard days work on the ranch and are pretty enough to go show and win the next day. "Abby come from the finest cutting and working horse blood. She was a reining futurity horse as a three year old and the was a green reiner mount for her trainers wife. 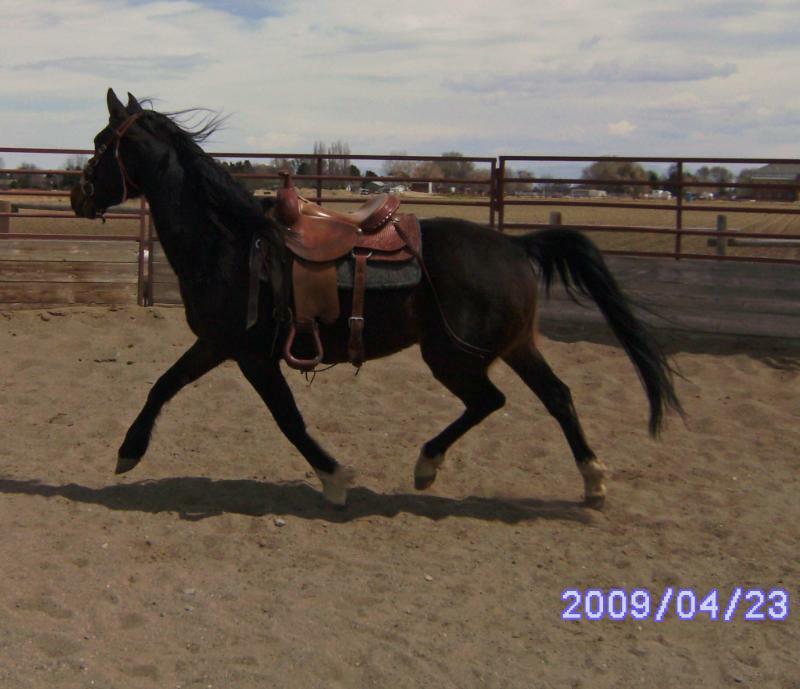 From there she was sold to Black Pine Ranch and has been turned into a sucessful Cow Horse and Ranch Horse competitor. She will be bred to Royal Diamondnic for a May 2010 foal. "Baylie" has had a very varied life as she has grown up. She was born and raised in the Ozark Mountains, then became a money winning team sorting horse, then a broodmare and kids horse. 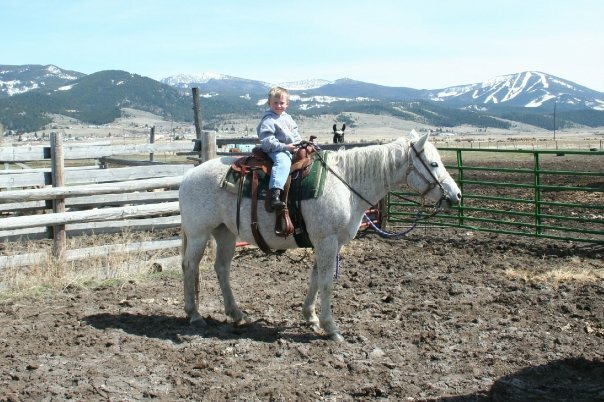 Now she is at Black Pine Ranch being used as a ranch horse and a mount for the kids in the family. She may be bred to Playguns Little Star for a May 2010 foal. "Scooter" has been owned by Black Pine Ranch sense he was a weanling. He has a super gentle and forgiving disposition. 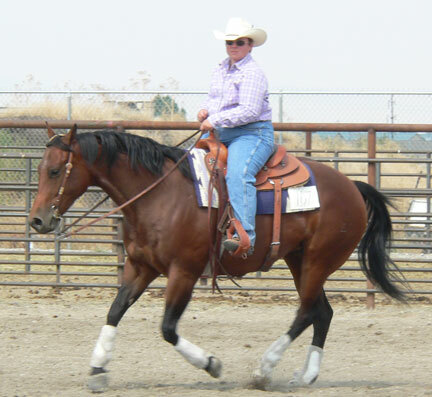 Scooter has also shown talent working cattle and in reining. We hope to show him in a few Ranch Horse Shows this season. Both Scooter and Baylie where raised by Twenty Two Ranch in Harrison, AR. "Danny" was born and raised at Black Pine Ranch. He is currently for sale. Danny is a wonderful little gelding that is very patient and has a calm and willing personality. 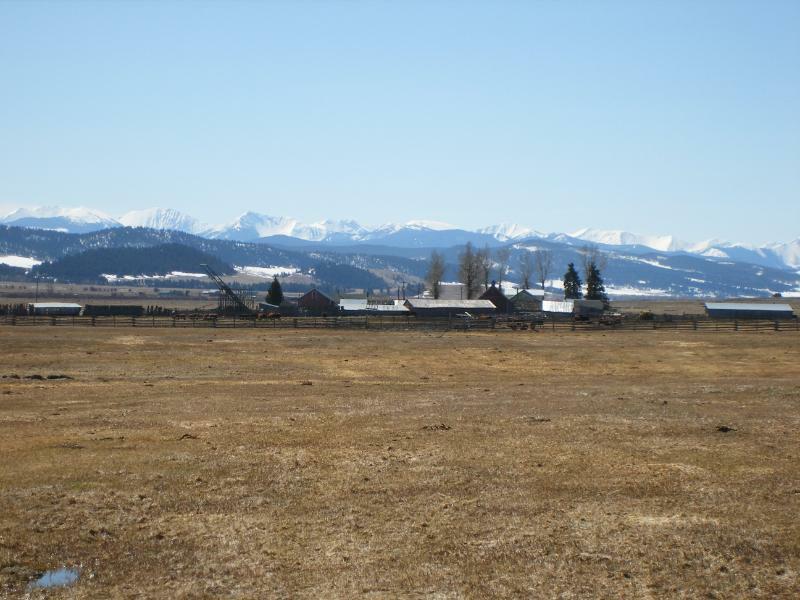 He will make an excelent working ranch, endurance, english or dressage gelding. He is currently unstarted, however is willingly taking to being saddled and coming from a pasture situation to being in a busy college barn. "Flash" was born and raised on Black Pine Ranch. He was raised and trained by a young teenage girl. He was used in the colt to maturaty program in 4-H, but decided he had too much go to be a show horse. He was used on the ranch from a 4 year old on. 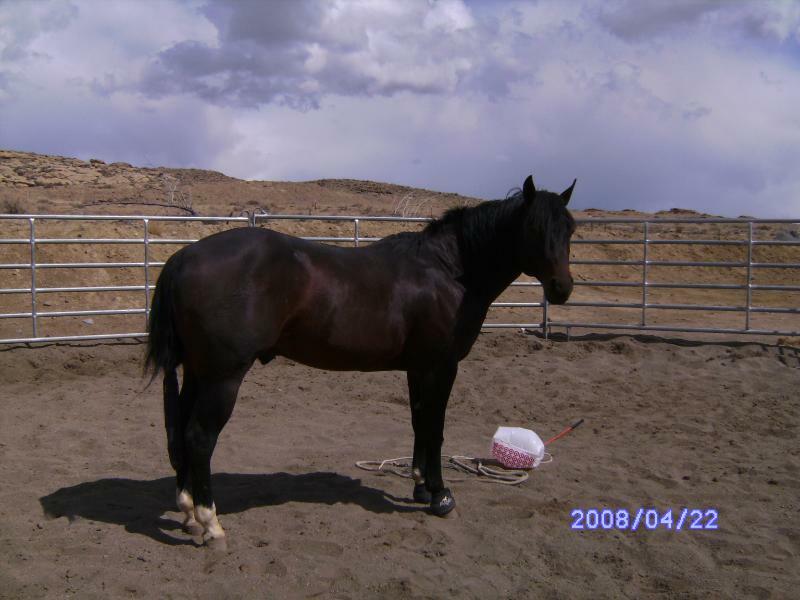 He also has been used as a gaming horse and a back up Ranch Horse show horse. He is currently semi retired and is only brought out when we have a cow on the fight. Flash will literally take out a cow that is on the fight with teeth and front feet. They usually come in nicely after a confrintation with Flash.